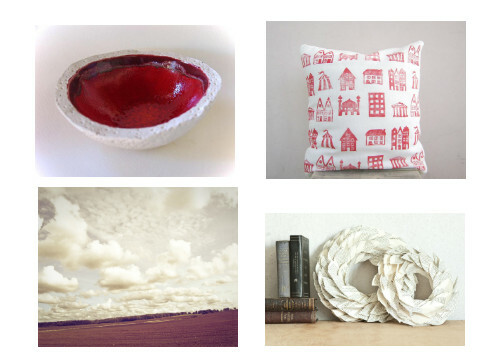 These lovely items belong to a treasury on Etsy. More Monday Moodboards on Estella's blog. it's beautiful! love the red bowl from azulado! These are great finds! Thanks for sharing them to us. Great blog too!